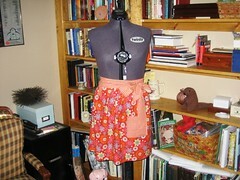 I'm off to the post office to send this apron to my swap partner. I enjoyed sewing this; I used the pattern from Bend the Rules Sewing, adding a towel loop as well. After my errand, I'll be canning tomatoes. I'll be thinking about how articulate Eve Ensler is, too. If you're alarmed by the Republican VP candidate, you might want to take a look at Ensler's thoughts on her. If you love the self-proclaimed pitbull with lipstick, maybe Ensler's piece will help you understand why some of us don't care for her. I'm usually not a terribly politically-minded person, and I don't like to use my blog to talk politics, but this woman has been keeping me up at night, and this election may be the most important one in my lifetime. I know Obama is running against McCain, not Palin, but she's the one who seems to be energizing her party. She's the one really alarming me, and Ensler has explained why better than I'm able. It's gray and rainy today, but six years ago, the sun shone and the air was crisp, bringing to mind football games and baked apples. The morning was nothing short of glorious, which added to the pain of the attacks. There has been debate in The New York Times and elsewhere about the appropriateness of commemorating 9/11. Some say it only reopens the wounds. Some say it's time to move on. Some say the list of victims should be read every year. There is no right answer to when grieving, either public or private, should be finished. I was fortunate that day; I did not lose anyone I loved. I lived in Westchester, though, and for weeks the newspaper was filled with the obituaries of young men and women, many around my age, some of them accompanied by stories of bravery and kindness performed in the face of fear and death. That's what I want to think about today, what I want to take away from the unbearable pain of that day. I want to consider how I might be kinder in my life, and then I want to be kinder. That was the glory of 9/11, at least for a while: the kindnesses proferred by strangers. That's what I want to see continue. Won't you go out of your way to do something extra kind today, too, as a way to quietly remember the tragedy of the day? I donated in honor of Zi. It's done wonders for my bad holiday attitude. As many of you know, today is World AIDS day. Once upon a time there was a woman whose husband contracted HIV. She didn't know that she was a carrier. Already a mother to several older children, she had a beautiful healthy son and a few years later a baby girl. Not long after baby Z's birth, the husband learned that he had HIV; the woman learned she was a carrier; the family learned that the beautiful baby girl was infected. She was a slip of a girl when I met her. She controlled her brothers with a glance of her big brown eyes or a frown on her lovely lips. She was raised in the hospital as much as in her troubled home. Her doctor, who adored little Z, promised her that if she made it to her 16th birthday he would buy her a car. Everyone who met Z hoped she'd make it that long; she knew she would. She wanted that car. She wanted to live. And she did. She grew into a beautiful young woman. She got the car, but she never managed to pass her driver's test. Z studied hard at school, went to the prom, graduated and started college. She was living on her own for the first time, another milestone everyone hoped she'd reach; a milestone she knew she would. But Z got embarrassed to take her prescription cocktail in front of her roommates. She didn't want anyone at school to know about her disease. She wanted to be normal for once. Just another girl who liked clothes and getting her hair done and boys and hanging out with friends. She got sick. She had to leave college. She faded before the eyes of those who loved her. On her 19th birthday, a crowd gathered with pizza and cake and even a family dog in her hospital room. Z glowed with joy. Her brothers doted on her, teased her, and loved her. She grew tired, and as people left the celebration, she held each hand, accepted each kiss and told each person that she loved them. Not long after, Z passed away, AIDS taking this beautiful young woman who had the grace to smile even as she lay dying. The face of love, as the singer reminds us, is a smile, thrown up in the face of despair. Z will always be the face of love. What's that? What's inside that Converse? A Jaywalker? You betchya. One Jaywalker, though. One. Don't want to get any of my ABQ SnB girls too excited. This sock posed a real challenge for me. I changed my knitting technique in order to get gauge without using 0000's, thanks to Scout, Carole, and Mona. After consulting with Cookie, I decided that I'll do the second sock toe up. I've been blathering for a while about how I want to use this technique, and although the two socks might look a little different from each other, hey, they'll both be learning socks for me! 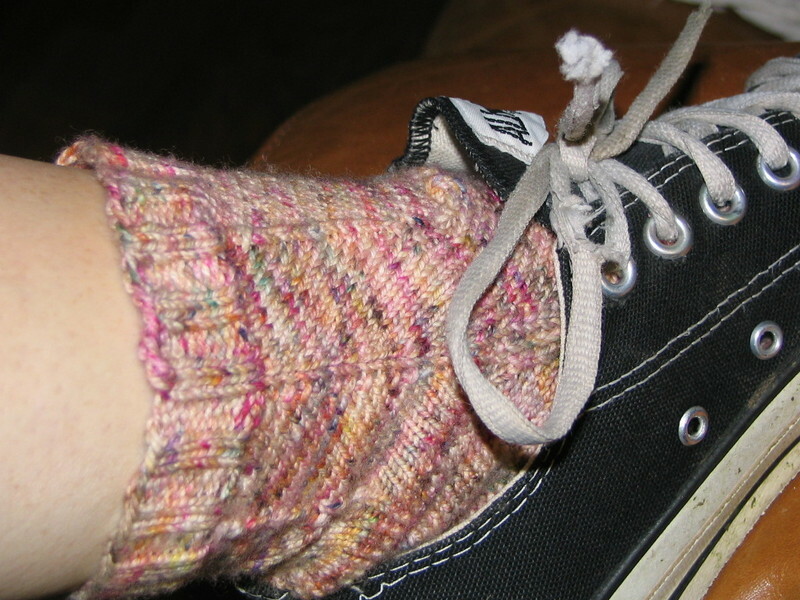 I'm participating in Summer of Socks, and I want to knit two socks toe up on two circs before the end of the summer. So one sock toe up on two circs...not a bad place to start! Last night I knit with my girlhood friends Cae and Sara. We've been trying to get together once a week, and eventually hope to have a Granby, East Granby, or Windsor Locks SnB. I finished a 3-hour capelet that Sara and I each made last summer...we just had to add ribbon as a closure. And closure for the 3-hour and one-year capelet. I'm sitting in my beautiful, shady back yard, looking at my fence covered with clothes that I cleared out of my closet for the moving sale. And I realize (not for the first time, believe me) that I have more stuff than I could possibly need. More than I really want, too. The moving sale has helped me to find a way to recycle a boat load of the stuff I don't want to take to Connecticut, and I'll Freecycle or donate the rest. I'm closing down "shop" in 20 minutes, and I just sold a huge basket of yarn for $10. Some of it was good stuff, but stuff I'm not going to use any time soon. So out the door, yarn! The woman who bought it has a sister who just started to knit, so it's going to a good home. I Beverly A., pledge that I shall abstain from the purchase of "new" manufactured items of clothing, for the period of 2 months. I Pledge that I shall refashion, renovate, recycle pre-loved items for myself for the term of my contract. 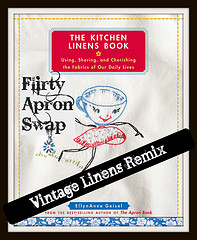 I Pledge that I shall create and craft items of clothing for myself with my own hands in fabric, yarn or other medium for the term of my contract. I Pledge that I will share the love and post a photo of my refashioned, renovoated, recylcled, crafted or created item of clothing on the Wardrobe Refashion blog, so that others may share the joy that thy thriftyness brings! I'll be a Refashionista from June 1st until July 31st. It's going to be good, I can tell. Time to pack up the store! My pal Jessie is participating in the Race for the Cure in Las Vegas on May 6. Please help support not only Jessie, but the search for a cure for breast cancer by donating to the Susan G. Komen Breast Cancer Foundation. It will make you feel good. I promise. 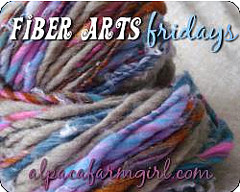 To encourage donations, I will send a festive skein of yarn to one lucky person who donates via PoMo Golightly. Just leave a comment that you've made a donation, and I'll have a random drawing from the donors next Sunday. I can't wait to see how generous my knit-blog community is! I filed this post under the "I must protest" category. I protest that there is no cancer cure yet. I know there will be one day. I just know it.